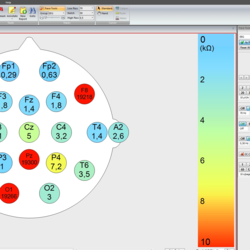 The Siesta 32-channel EEG amplifier is the solution for wireless EEG recordings. 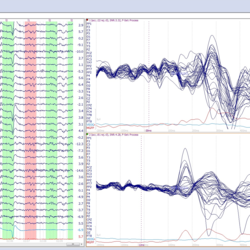 Imagine having the freedom for your subject to move and still being able record clean EEG data. The Siesta amplifier gives you this flexibility. With a weight of only 300 grams (9.6 ounces, including battery) and a revolutionary small size, the system is very suitable for sports medicine, rehabilitation research and related applications where mobility is important. The secure WIFI data transmission allow you to collect data while your subject is mobile. In case the connection to the WIFI is lost the onboard storage makes sure you do not loose any valuable data. Multiple Siesta devices may be used within the same network/room and gives you the opportunity to perform multi-subject recordings and monitor interactions within a group. Doing research has never been so exciting. 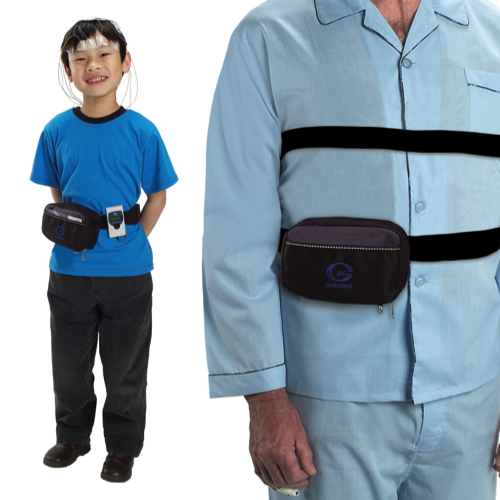 The Siesta system has CE Class IIa medical certification and FDA approval. Siesta’s ethernet radio link provides the researcher with testing options and opportunities never before available. Your subjects are free to move about while you continue to monitor and collect data. Set up a testing room in just minutes. Use Siesta in your movement lab or as your best solution for recording outdoor. 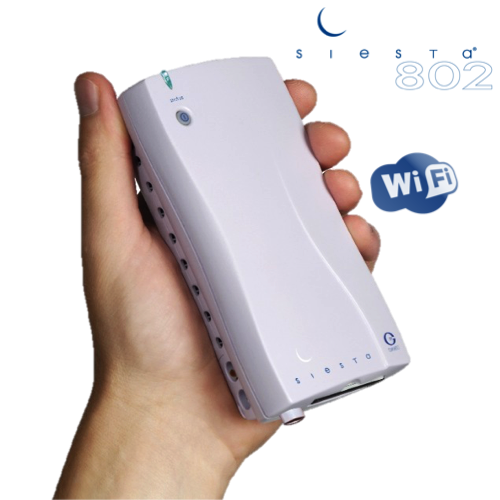 The Siesta802a is compatible with all current 802.11 wireless network standards, including the 2.4GHz and 5 GHz bands.With proper configuration, the Siesta System works with most wireless network infrastructures commonly in place in hospitals. Compumedics also provides a line of Access Point Modules. 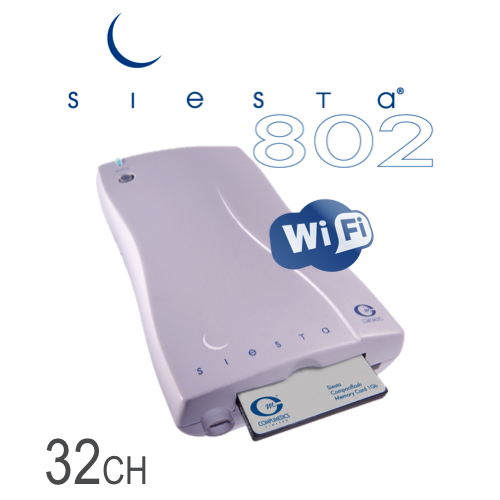 The Siesta System supports WEP (40 and 128-bit), WPA1-PSK and WPA2-PSK security standards.